Pearl L. Vidlak, age 89, of Lincoln, passed away on January 9, 2018, at the Journey House. She was born on September 16, 1928, in Norfolk, to William and Anna (Borgmeyer) Nicolay. 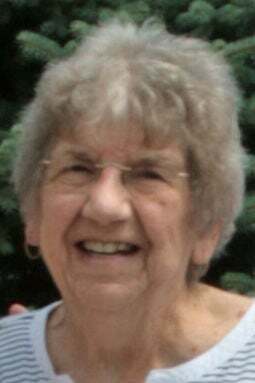 Pearl is survived by her sister; Lorna Fundum of Norfolk, children; Lea Vidlak of Wilmington, Del., Theresa Crispin of Des Moines, Iowa, and Tony Vidlak of Scottsdale, Ariz., grandchildren; Alex Evers, Michael Evers, Max Evers, Joe Crispin, Luke Crispin, Denise Mulkey and Capi McLean, seven great-grandchildren and many nieces and nephews. She was preceded in death by her husband, Anton Vidlak, and eight brothers and sisters. A memorial service will be held at 11:30 a.m. on Friday February 2, at Southwood Lutheran Church. In lieu of flowers, memorials to the Tabitha Journey House, Southwood Lutheran Church Memorial fund or charity of your choice. Condolences at www.aspenaftercare.com. Read through the obituaries published in the Jan. 11-16 editions of the Lincoln Journal Star.